Foster’s Market Favorites is one of several Southern lifestyle food and books available in our store and on our site. Shown here with our Printed Vine Round Lacquer Tray. 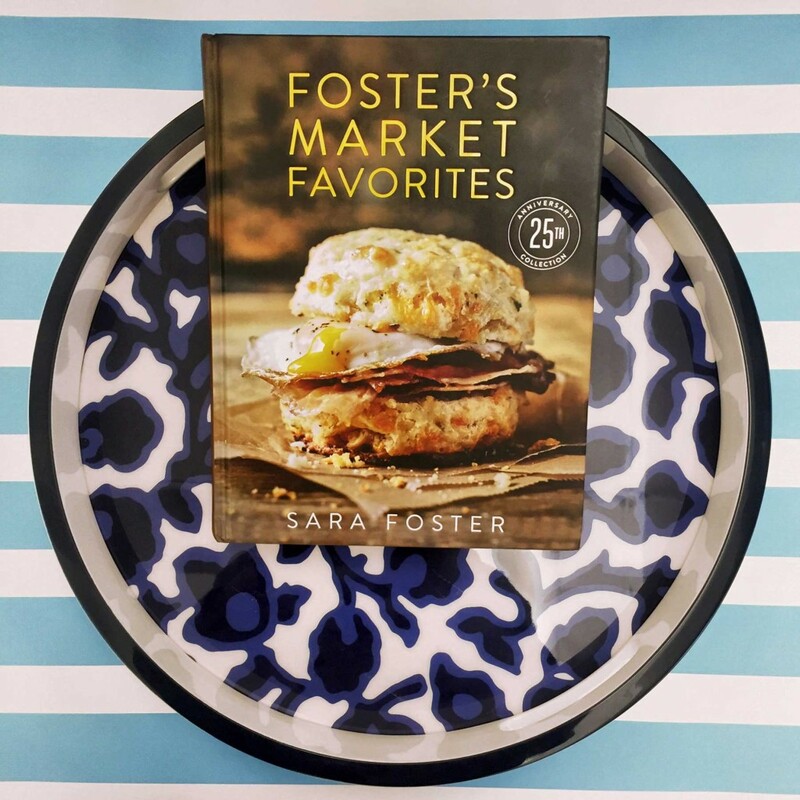 Foster’s Market Favorites, a modern Southern cookbook by award-winning restaurateur Sara Foster, is flying off the shelves on our site and in our store. How does the message of your book mirror the Draper James lifestyle? Simplicity and seasonality with twists on traditional and modern. You did a book signing at the Draper James store in Nashville. What was that like? I co-hosted a signing with my cousin Leigh Anne Tuohy and her daughter Collins from Memphis and the fabulous crew from Draper James in Nashville. (The Tuohys are the family the movie Blindside was based on.) 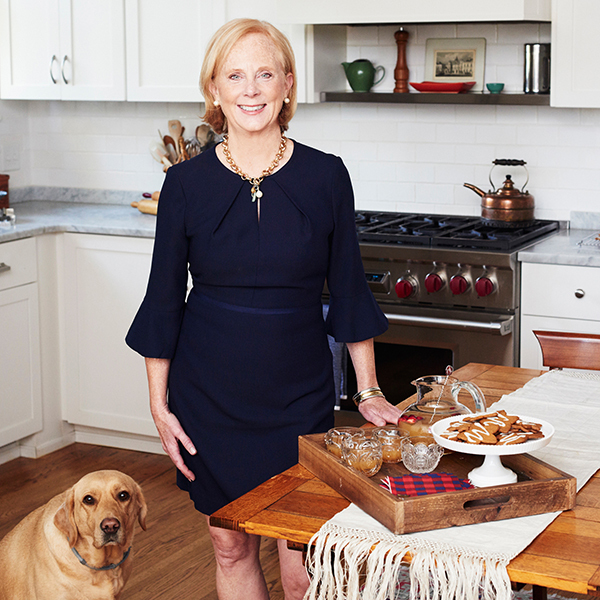 We could not be any more different: Leigh Anne doesn’t cook (but loves great food) and I am not a fashion icon (but I love simple style). We have so much fun together and often our get-togethers are geared around food, family, and friends. The event at Draper James was a lot like that—lots of people that love to cook, lots of people that love fashion, and many people that love both. Can you list a few favorite recipes from your book?